Robert Downey Jr. has been playing Tony Stark in the Marvel Cinematic Universe for a decade now. The first Iron Man film kicked everything off and the rest is history. RDJ is particularly fond of the role, but he has discussed recently that it might be time to leave the party before he overstays his welcome. 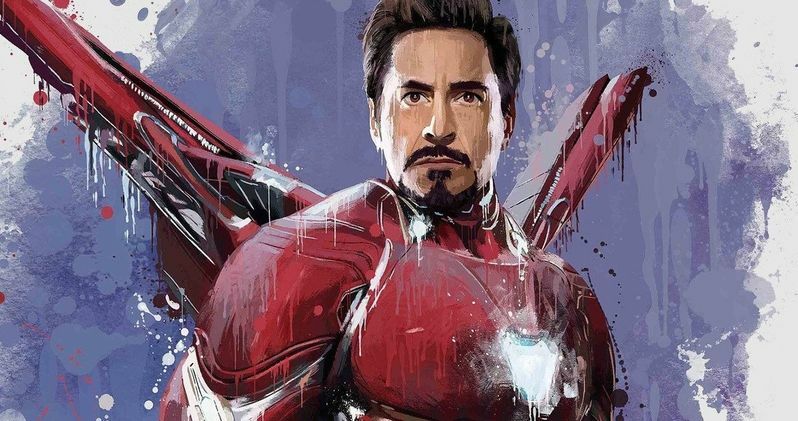 Now, Marvel Comics talent and Iron Man writer Bob Layton believes that Avengers 4 will be the end of Tony Stark and his Iron Man persona in the MCU. In a new interview with the Tampa Bay Times, Bob Layton was asked about the MCU and specifically, Iron Man's presence, which started the conversation as to whether or not Robert Downey Jr. is finished with the role. Layton believes that Avengers 4 will be the last MCU project for the actor after 10 years and a huge amount of success. Layton says that it just might be time for RDJ to move on. He explains. "I am only speculating, but I will guess that (Robert Downey Jr.) is done. He has been doing the same role for over 10 years now, and I think as with any actor sometimes, it is time to move on." Bob Layton makes a good point and it's something that Robert Downey Jr. and Chris Evans have discussed publicly over the past several months. Both actors are getting older and maintaining Iron Man and Captain America appearances isn't the easiest thing for anybody to do. When Layton was asked if he thinks that Tony Stark will die in Avengers 4, he said that he was only guessing, but it is one way for the character to leave the MCU. Layton had this to say. "That is one way of doing it, but I'd only be guessing. I know this - I wouldn't want to recast Tony Stark. Who would want to try to top Downey? But, if Tony doesn't come back, they can put somebody else in the armor and start a new generation of Iron Man." Bob Layton is known for reinventing Iron Man and wrote for the comic for over a decade. He created the villainous Justin Hammer as well as James Rhodes, or Rhodey, or probably best known as War Machine. Layton is an authority on the subject and he's one hundred percent correct when he says that anybody can step up to take on the armor, but not the name. Layton took Tony Stark and made him a believable character, someone who is human and flawed, but has the most awesome technology, much like Batman. While discussions about Robert Downey Jr. leaving the MCU have not been officially addressed lately, Marvel Boss Kevin Feige has stated that Brie Larson's Captain Marvel will be the new face of the MCU going forward, which means that it's about time for Tony Stark to step down, or get taken down. Avengers 4 is still nearly a year away, but it might be time for MCU devotees to think of Phase 4 without Tony Stark. Head over to the Tampa Bay Times to read more of what Bob Layton had to say about Tony Stark's exit from the MCU.